Cloud contracts and Service Level Agreements (SLAs) are key components defining cloud services. However, SLAs are arguably the least understood aspect. This is because of the complex language and terms of service, from both a technical and legal perspective. There is also a lack of widely accepted standard frameworks; terms and metrics that help cloud customers make meaningful decisions. Another issue is the application of established data protection concepts. Often it is not clear what is regulated, who is responsible and which laws actually apply. All these issues reduce trust in cloud services and therefore wide uptake. 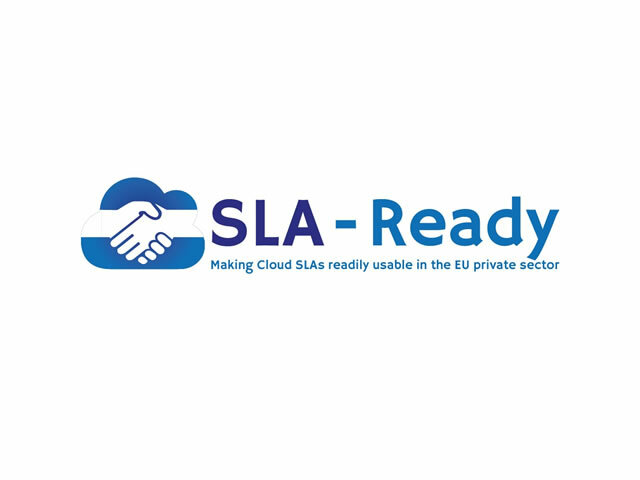 SLA-Ready makes cloud customers, especially small- and medium-sized enterprises (SMEs), SLA-aware, educating and advising them on SLAs. SLA-Ready gives businesses “pain relief” from the SLA challenge, reducing risks and creating certainties. Having a comprehensible and common framework for SLA matters will help improve the uptake of cloud computing in the European private sector. The SLA-Ready team brings together some of the top SLA experts in Europe and is supported by an international Advisory Board with a practical focus. Trust-IT coordinates SLA-Ready and Advisory Board. We also lead the communication strategy, where it delivers the digital hub and social marketplace for SLA-Ready. SLA-Ready has received funding through the 1st Competitive Call of Horizon 2020.